How Are The Bills Shaping Up? The new NFL season will be upon us before we know it, with Organized Team Activities already underway. This will be an exciting time for Bills fans, as the team has slowly but surely been (hopefully) heading in the right direction. There should be some star players back to their usual selves after last season, with mainly CJ Spiller in mind, as well as an arsenal of new weapons for second year quarterback EJ Manuel. With the latest odds at http://www.bettingsports.com/nfl/ the Bills seem to be a ‘middle of the road’ bet in terms of Super Bowl chances. The truth is, they will have to first concentrate on beating the New England Patriots to the AFC East championship, something which, although daunting after the last few years, is becoming more and more realistic. The Bills traded up in the 2014 NFL Draft to land some true star power in Clemson wide receiver Sammy Watkins. With both size and speed, Watkins is the sort of player that can really take the top off a defense and open up opportunities for his teammates. It was definitely a risk to spend so much to get Watkins, but the Bills needed to provide the offense with a spark, and reinvigorate the fans. The Bills also added some much needed O-line depth in the draft with Cyrus Kouandijo, Cyril Richardson and Seantrel Henderson being added. If Kouandijo and Henderson can overcome troubles (injuries and character red flags respectively), they could prove to be steals. Buffalo also took CB Ross Cockrell, LB Preston Brown and LB Randell Johnson with their remaining picks. The truth is, if the Bills can gel as a team and pick up a bit of luck with injuries, they have the potential to go far. CJ Spiller can be a downright beast on his day, but struggled through the 2013 season with nagging injuries. He and Watkins could be enough to give any defense fits, and quarterback EJ Manuel could profit from that. On the defensive side, the D-line looks good on paper, with tackle Marcell Dareus and end Mario Williams providing extreme talent that could hold up against anybody. 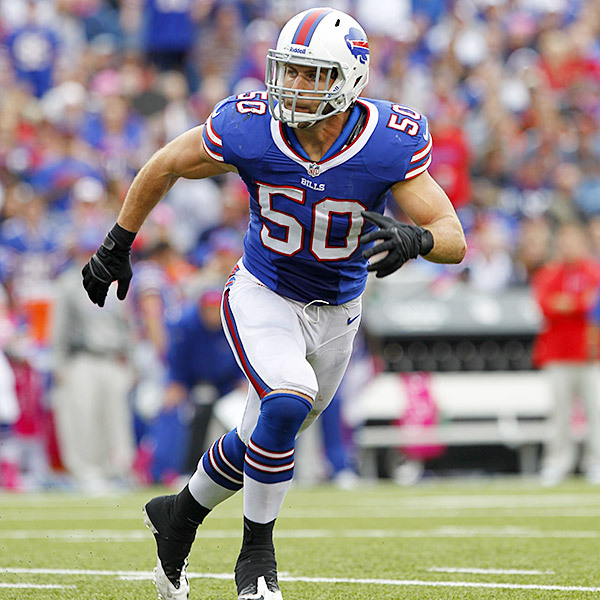 Young players anchor the back seven, with linebacker Kiko Alonso already a rising star after his rookie season, being named in the NFL’s top 100 players list and cornerback Stephon Gilmore ready for a breakout season. The fact for the Bills is that a talented young team is being built, and 2014 has the potential to be a great year.